Borella (Colombo-8) begins at the Kanatte Roundabout where Bullers Road meets Narahenpita Road and moves northwards towards Dematagoda. The western side of the town is flanked by Cinnamon Gardens (Colombo-7) and Maradana (Colombo-8), the north by Dematagoda and the eastern sector is bounded by Nawala. Baseline Road commences its lengthy stretch at this roundabout and stretches all the way to the Stace Road junction at Grandpass bordering Urugodawatte. The road gets its name from being the very first road to be laid out in Colombo which was used as a reference point (baseline) for all other roads to be constructed. In recent times the road has been developed into a multi-lane motorway and the first flyover has been constructed on it at Dematagoda. In the southerly direction the road extends as Narahenpita Road, now renamed to Elvitigala Mawatha, all the way towards the High level Road at Kirulaponne. The main burial grounds for all faiths within the city of Colombo which is located where Narahenpita Road (Elvitigala Mawatha), Bullers Road (Bauddhaloka Mawatha), and Baseline Road (D S Senanayake Mawtha) meet at a large roundabout. The site has served the Colombo communities since Colonial times and is a very popular place of burial of the dead for the people. Muslims do not bury their dead here as they have their own cemeteries located in various points within the city. The cemetery also has a crematorium for those who choose to be cremated instead of buried. A significant feature of the place are the many giant trees with sprawling green branches that provide shade to the dead and also the many wooden, concrete, marble, and granite monuments erected over the numerous graves. The cemetery borders Narahenpita Road (Elvitigala Mawatha), Bullers Road (Bauddhaloka Mawatha), Model Farm Road at Borella and Kitulwatte Road at Narahenpita. The Model Farm Road end and Kitulwatte Road section borders the Royal Colombo Golf Club & Links at Narahenpita. 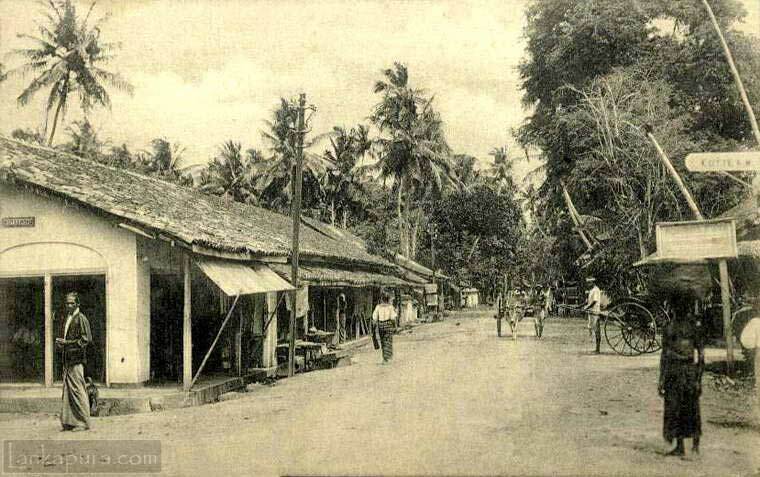 The first main road built by the Colonial Raj in Colombo that runs dead straight from the Kanatte Roundabout, where Bauddhaloka Mawatha intersects with Narahenpita Road (Elvitigala Mawatha), which was used as a guiding standard for all other roads to be built around it, hence named ‘Baseline’. The stretch between Kanatte and Borella junction has been since renamed D S Senanayake Mawatha (first Prime Minister of independent Ceylon in 1948) who had his home on this stretch of street. The next stretch of the road that runs towards Dematagoda has been renamed to Dr Danister de Silva Mawatha. The road intersects Ward Place and Cotta Road (Dr N M Perera Mawtha) at Borella junction and goes on to intercest Campbel Place (Ananda Rajakaruna Mawatha) at the Welikada Prisons location and then stretches across towards Dematagoda and Grandpass (Stace Road). Dr Dannnister de Silva Mawatha begins agt the Borella junction and moves north towards Dematagoda in a very straight line. The Borella Police Station is located on the right and many busy businesses flourish at the junction. Borella Cross Road and Magazine Road are roads that feed into it, the former curving in from Ward Place and crossing Maradana Road while the latter moving east to a dead end where a low cost housing scheme for the poor stands. The Colombo Municipal Veterinary department and the Medical Research Institute (MRI) are located immediately after Magazine Road on the right. The Abdeen Mosque is located alongside Borella Cross Road. Lady Ridgeway Childrens Hospital is located on the left facing the MRI. Lesley Ranagala Mawatha is next on the right which leads straight to the Tamil Union Club where the famous Oval Cricket Grounds are located. The Postgraduate Institute of Management is also located down this street. The back ends of this street also web through the low cost housing scheme where many low income group families reside. This area of Borella is referred to as Wanathamulla. The Government Printing Press is located on the left after Lesley Ranagala Mawatha. Further North on the left side of the street is the famous Campbell Park and Wesley College Cricket Grounds from where Borella ends and the town of Dematagoda (Colombo 9) begins. The Welikada Prison is also located at this intersection of Campbell Place (Ananda Rajakaruna Mawatha), on the right. Bullers Road, now renamed to Baudhdhaloka Mawatha, which begins at the Bambalapitiya junction meets at the Kanatte Roundabout in Borella and moves further inwards alongside the Kanatte Cemetery to meet at the intersection of Dudley Senanayake Mawatha (extension of Horton Place towards Śrī Jayawardenaphura) and Model Farm Road, where Śrī Jayawardenapura Mawatha begins its sojourn towards the new Parliament complex in Kotte. The street moves still further where it meets Cotta Road (Dr N M Perera Mawatha) where it ends. Mohamed Haniffa Mohamed, the senior Muslim UNP MP for Borella and ex Minister in several UNP governments, born in 1921, lives with his family, on this end of Bauddhaloka Mawatha. He is the son of the famous philanthropist and enterpreanor, Nagoor Meera Mohammed Haniffa, who successfully ran a ship-chandling company called AMM Nagoor Meera & Sons for several decades. His children are Hussain, Ummu, Thufa, Hassan, Azahim, Haniffa, Shahul Hameed and Shaha. MH Mohamed’s spouse, Noor Hassina Abdul Hameed, is the daughter of OLM Abdul Hamid & Sadiqa Noordeen. The stretch of street that begins at the intersection of Bauddhaloka Mawatha and Dudley Senanayake Mawatha, running behind the Kanatte cemetery along its boundary towards the Royal Colombo Golf Club and Links. The Dharmardjhara Bhikku Center and Pelpola Vipassi Foundation are located on this street before the entrance to the Golf Club. One side of the road borders the Devi Balika Maha Vidyalaya which faces Śrī Jayawrdhenapura Mawatha. The initial stretch of Baseline Road that begins at Kanatte, was called Kanatte Road and cuts through the Horton Place-Borella Cross Road intersection and ends at the Borella junction where Ward Place meets it and Cotta Road begins its journey towards Śrī Jayawardenapura, the new political capital of Sri Lanka. The Hon Mr Senanayake was the first Prime Minister of Ceylon after Independence from the British in Feb 1948. He died after having a fall from his horse while riding in Colombo opposite the old parliament at Galle Face. Austin Place, connecting to Kynsey Road at Cinnamon Gardens on the left and Sumner Place on the right are two side streets off this street. The Borella YMBA, Office of the Official Language Commission, Susamayawardena Maha Vidyalaya and the Sri Lanka Anti Narcotics Association are located on Austin Place. Kynsey Road divided Borella from Cinnamon Gardens. The Senanayake family have belonged to the Sri Lankan aristocracy from the time of the British Colonial rule in Ceylon. Don Stepehen Senanayake (1884-1952), affectionately known to all as “DS”, was born to Mudaliyar Don Spater Senanayake (1848-1907) & Dona Catherina Elizabeth Perera Gunasekera Senanayake (1848-?). His mother, daughter of Baron Senanayake of Kehelella, Badalagama in the Divulapitiya Electorate and sister of Abraham Perera Gunasekera Senanayake, was born in Botale. His father, Mudaliyar Don Spater, was an entrepreneur, social worker and a well known graphite mine owner in old Sri Lanka. His siblings are Maria Francess (Mary Jane), Don Charles (1878-1931), & Frederick Richard (FR, 1882-1926). DC married Euphemia Grace Millicent while FR was married to Ellen Attygalle, also from a well known elite family in Ceylon, then..DS married Molly Dunuwilla who hailed from a well respected and high society Kandyan family in Ceylon. FR had 8 children, Richard Gotabhaya (1911-1970), Tissa, Chandra, Upali (1918-1983), Needra, Rupavathi, Neeta and Swarna. DS’s children were Dudley Shelton (1911-1973) and Robert Parakrana (1913-1986). Dona Catherina’s siblings are, Fredrick Perera Gunasekera, John Perera Gunasekera, William Perera Gunasekera, Mary Jane Perera Gunasekera, and Abraham Perera Gunasekera, who all took the “Perera Gunasekera Senanayake” family name. The extension of Horton Place from where it ends at the intersection of Kynsey Road in Cinnamon Gardens and moves along intersecting Rt Hon D S Senanayake Mawatha towards the Bauddhaloka Mawatha-Model Farm Road-Śrī Jayawardenapura Mawatha-Shady Grove Avenue intersection. Dudley Senanayake, son of the Rt Hon D S Senanayake, stalwart of the United National Party, was also a Prime Minister of Sri Lanka for many years after his fathers demise. Dudley never married and died as a bachelor in 1973. He lived with his brother on the street named after his father in Borella for many years. The gas station at the corner of Baseline Road and Horton Place has been in existence for many long years and patronized by those living around the vicinity. The street is now a major thoroughfare between Colombo and Śrī Jayawardenapura which provides effective commuting for all those traveling between these two cities. Although this street is truly located in Cinnamon Gardens, Colombo 7, its far end which reaches all the way up to the Borella junction is still considered to be located within the Borella town. This is a very busy and bustling intersection of five roads, viz, Ward Place, Baseline Road (Dr Danister de Silva Mawatha), Maradana Road (Borella section now renamed to Gnanaratne Pradeepa Road), and Cotta Road (Dr N M Perera Mawatha). The Borella central bus station is located at this intersection on Cotta Road. Another old road in Borella which connects the main junction to Śrī Jayawardenapura Mawatha leading towards the new parliament complex at Kotte. 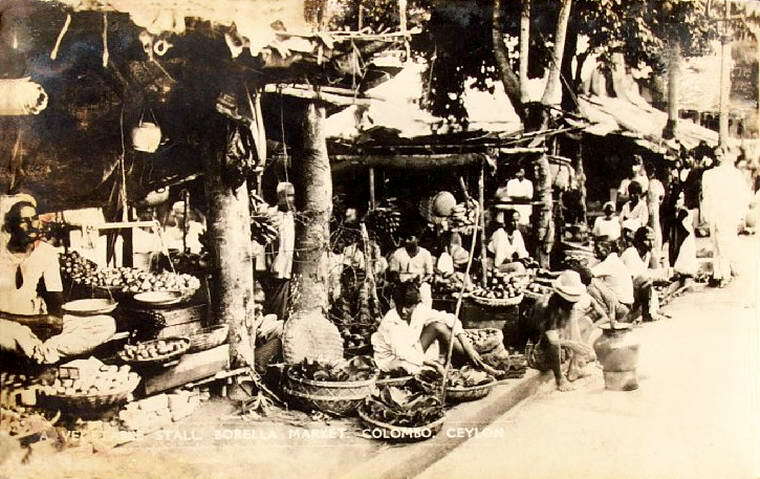 The name “Cotta” was obviously chosen to indicate that it was the main thoroughfare from Colombo to the fortress city of Kotte which played a significant role during the time of the Colonial rulers. By roads off Cotta Road are, viz, Elliot Place, Ohlums Place, Fairfield Gardens, Tickell Road, Cotta Gardens, Turner Road, Bawa Place, Grenier Road, Chandralekha Mawatha, Ruhunukala Mawatha, Belcombe Place, Rodney Street, Rodney P:lace, Gothami Road, & Cotta Lane. The Lido cinema hall is situated just a few yards from the Borella junction. The Offices of the Human Rights Commission of Sri Lanka. The long stretch of road that borders the Oval (P Saravanamuttu Stadium) from Kuruppu Road and runs all the way to meet Seevali Mawatha which runs towards Dr. Dannister de Silva Mawatha. Several by roads off this sytretch are, Gorakagaha Path, Pelangastuduwa Path, and Seevali Lane. Seevali Vidyalaya is located on the right at the intersection of Wanathamulla Road with Seevali Mawatha. The MH Mohamed Playgrounbd is located at the end of Pelangastuduwa Path. The Kinda Ela, a small waterway, runs along the rear boundary of the playground and falls into the Heen Ela, which starts from Kolonnawa in the East and moves northwards towards Dematagoda and Urugodawatte.